Historically, since the beginning of the American federal government in 1789, 35 of 43 Presidents have exercised their veto authority on a total of 2,550 occasions.-(does not include GW Bush or Barak Hussein Obama) Of that number, 1,484, or 58%, have been returned vetoes — that is, the rejected legislation was returned to the congressional house of origin, while it was in session, with a presidential message of explanation — and 1,066, or 42%, were pocket vetoed, or rejected while Congress was adjourned. Some 7.1%, or 106, of the 1,484 regular vetoes have been overridden by Congress. The following presidents used the veto for bills that authorized defense spending bills.— In 1978 Jimmy Carter, 1988 Ronald Reagan, 1995 Bill Clinton and 2007 George W. Bush. “In each case, the president objected to an actual provision in the bill, and each time Congress’s Armed Services committees were able to find a compromise that earned the presidential signature, “wrote Senators McCain and Thornberry on October 23, 2015. For the record, President F.D. Roosevelt, a Democrat, had 635 total vetoes, Grover Cleveland had 584 total vetoes, Harry Truman, a Democrat, had 250 total vetoes, and Eisenhower, a Republican, had 181 total vetoes. George Washington during his four terms (16yrs) had only two total vetoes. DoD Discretionary Base Budget is 495.9 billion dollars and the Department of Energy discretionary base budget is 19.0 billion dollars or a total of $514.9 billion.-rounded to $515 billion. Senate Armed Services Committee Chairman John McCain (R., Ariz.) said in June 2015 that the OCO funds currently offered the only way to ensure the Defense Department is adequately funded. “I am as opposed to sequestration as anybody is,” Mr. McCain said that he worried that any amendment passed and lawmakers couldn’t reach a budget agreement, members of the military would suffer from having their funding curbed. In the vision of Congress, defense reform as specified in the H.R. 1735 NDAA for 2016 appears to be a means for Congress to continue the war in Ukraine with training and lethal weapons ($200 million dollars); to promote the continual four year civil war in Syria and Iraq ($1.32 billion dollars)-“ ISIL: The Committee’s proposal reinforces the mission against the Islamic State of Iraq and the Levant (ISIL) and Operation INHERENT RESOLVE (OIR). Its proposal reauthorizes the Office of Security Cooperation in Iraq. The Committee also supports authorizing the President’s request of $715 million for security assistance to Iraqi forces combatting ISIL. However, the Committee requires that 25% of the funds be provided directly to the Kurdish Peshmerga and Sunni forces… The proposal authorizes $600 million to continue training and equipping the vetted moderate Syrian opposition forces, while expressing concern about defending those forces once they return to the fight in Syria. The Committee’s proposal also authorizes funds to enhance Jordanian border security and enhance Jordan’s military capabilities, and further increases oversight of overall command and control of OIR. In the mind of President Obama who vetoed the Defense Spending Bill “because it fails to resolve spending caps known as sequestration, doesn’t include military reforms, and impedes his ability to close the U.S. detention facility in Guantanamo Bay, Cuba.” According to the Committee on Armed Services, “…The status of detainees held at Guantanamo Bay (GTMO) is of great concern to the Committee. The Committee’s proposal reauthorizes the bipartisan prohibitions against transferring detainees to the United States and against building detention facilities in the United States. Since January of 2014, the Administration has transferred 33 detainees to third countries. The Committee has grave concerns about the circumstances of these transfers and the continued reengagement of former detainees. Further, there is little public disclosure about the facts surrounding detainee reengagement. This amplifies many Members’ concern that the President unlawfully transferred five senior Taliban terrorists from GTMO in violation of provisions in the FY14 NDAA requiring a 30-day advance congressional notification. Detainee transfers should occur only when U.S. security can be assured, and not to meet an arbitrary campaign promise. To that end, the Committee’s proposal rescinds the President’s authority to unilaterally transfer detainees and reverts to the stronger transfer policy established in the FY13 NDAA. Transfers may take place only when the Secretary of Defense can certify that the foreign country to which the detainee is being transferred will maintain control over the detainee and ensure the detainee cannot threaten the United States or reengage in terrorist activity. The Committee’s proposal also prohibits the transfer of detainees to combat zones, intended to address instances such as a recent transfer of detainees to Afghanistan, where U.S. Service members are still engaged in combat. 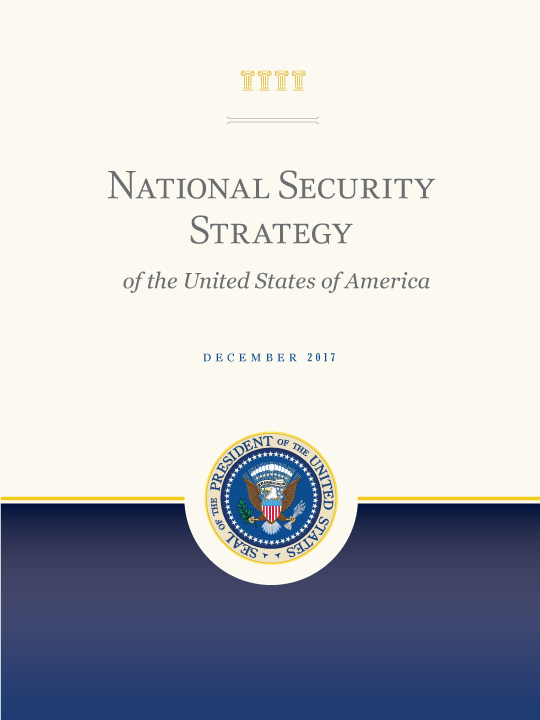 Consistent with the past policy, the Committee’s proposal provides a national security waiver. The drawdown is projected to continue after October 1, 2015, with the fiscal 2016 spending request before Congress listing an objective end-strength for 2016 of 475,000 soldiers, which is well shy of the manning projections of 450,000 to 420,000 soldiers that may be necessary if mandatory spending cuts called sequestration continue to the end of the decade. The U.S. draw downs in Iraq and Afghanistan should be the political trigger to build a new technology driven downsized U.S. Military. Congress and the White House are again focusing on the sequestration and the ongoing cuts in the Defense budget. According to the Department of Defense, the Middle East is no longer a military land-battle-space area and now the U.S. and NATO military are very slowly pivoting towards Asia and Africa to combat cyber threats driven by China and al Qaeda-affiliated groups in Africa. However, once you write a “global military script”; namely, -Russia is now the Soviet Union, there are good and bad Syrian/Iraq/Yemen/Afghanistan terrorist, and that the US military policy only supports good terrorist defense budgets that have become fantasy exercises. Further, in this current White House script, China is not a potential naval military threat to the shipping lanes in the South China Sea. In April 2014, the first joint budget resolution was approved by Congress since 2009. The proposal, outlined deep cuts to eliminate deficits over the coming decade, passed in the US Senate 51-48. All 46 members of President Obama’s Democratic caucus voted no. The spending “glass ceiling” was already established in 2011 and referred to as sequestration and applies for both guns (military) and butter (domestic) spending. The leaders in the U.S. Congress have already created a “slush fund” or sometimes referred by Democrats as a “rainy day fund.” A $90 billion supplemental war fund was created that would not be subject to sequester. According to the Wall Street Journal, “Budget resolutions don’t need President Obama’s signature but only set overall spending levels for separate appropriations bills that Congress will send to the White House later in the Fall.” The White House, to maintain its form of the “the Potomac two step”, will write press releases to the Media Cartels that any increase in the “guns” and “butter” budget spending must be in equal increments. However, budget bills can be passed in both the Senate and the House with a simple majority vote, known as reconciliation. The same “Potomac dancers” are still in power. Mitch McConnell in the Senate and Paul Ryan in the House. (Congressman Ryan appointment as Speaker of the House will occur on October 29, 2015) Mr. McConnell pledged to avoid shutdowns and debt-limit brinkmanship in the fall of 2014. Again in 2015, McConnell used the same playbook to avoid the media created drama of a government shut-down. If sequestration returns in 2016, the Army National Guard would continue drawing down further, to 315,000. Army Reserves would draw down to 185,000.” The Army will get new Blackhawks and the Army will sustain the Guard’s fleet of Light Utility Helicopters. The caveat continues that if sequestration returns in 2016, that scenario would change and cuts would come. If sequestration-level cuts were re-imposed in 2016 and beyond, the Marines would have to shrink further to 175,000. Even with sequestration, U.S. Defense budgets will be at a large budget baseline; namely, $521 billion in 2015, $523 billion in 2016, and $590 billion by 2017. The reality is that the future defense focus will be cyber security, big-data, Mission-focused ISR, Intel micro-satellites, UAS platforms, command and control networks, and cyber operations. The defense policy bill would authorize military spending of $612 billion, including roughly $89 billion from a supplemental war fund called the Overseas Contingency Operations (OCO), that isn’t subject to sequestration. With the 2016 Presidential Election looming over the fog of Washington DC, the Democrats will adhere to their media narrative that they want more or equal increases in domestic social welfare, subsidies to battery cars, government funded labor union projects, and free health-care programs, while they appear to be committed to the increase of U.S. military operations around the globe. The White House Media Communications Director released that “The President has been very clear about the core principle that he will not support a budget that locks in sequestration, and he will not fix defense without fixing nondefense spending.” Of the 90 billion dollars in the “rainy day fund,” the Democrats what to take out $38 billion dollars and place it in their own controlled “rainy day fund”. Thus only $51 billion will remain in the OCO. The same “Potomac 2-step dance” was executed in 2014; namely, “Republicans generally want to trim spending elsewhere in the budget or find savings by overhauling federal safety-net programs. Democrats have supported a combination of budget savings and new tax revenues.” Unfortunately, the American people and the war fighters are tired of the same political theater that Washington DC is well known for. President Obama vetoed the bill because of sequestration, exclusion of military reforms, and the power to close the U.S. detention facility in Guantanamo Bay, Cuba. Closure of Guantanamo Bay was President Obama’s re-election campaign promises, as well as ending the wars in Iraq and Afghanistan. On October 23, 2015, Defense Secretary Ash Carter said that the US will increase raids in Iraq and Syria. The Administration spoke many times that “American troops would not participate in combat missions as they battle the extremists across Iraq and Syria.” This is not the case on the battlefields in Iraq and Syria. Marine General Joe Dunford, the chairman of the Joint Chiefs of Staff said “it was time to begin to open the aperture in military operations there.” In a time of a defense budget veto, it appears quite unclear why the US Government is now expanding expensive special ops in Iraq and Syria when there appears to be zero contingency funds. As in Vietnam, local indigenous forces are trained to do the actual killing and lead the operation, with American forces providing airlift, airstrike support, intelligence and battlefield advice. In this 2015 case, it is the Kurds and in 1965 Vietnam it was the Montagnards. Ash Carter and Dunford appear to have forgotten the lessons of past wars. Obama’s veto Against America’s Warfighters – What does it mean? Many have criticized President Barak Hussein Obama for using his veto powers to cancel out the NDDA for 2016. Obama’s political Democrat Party advisors “criticized the decision by Republican lawmakers to base their $612 billion in defense budget authority around plans to use overseas contingency operations accounts to get around mandatory spending caps that Congress put in place, a move as a budget gimmick. Temporary War accounts to get around mandatory spending caps, Obama used this opportunity to give him an identity of a budgetary conservative going into the 2016 President campaigns of Democrats. Obama will interfere with soldier’s pay raise in January 2016. The White House wants to reform the Military Retirement Programs. Bonus and retirement are not going to be addressed. The defense authorization bill still affects things like enlistment bonuses, hazard pays, and other specialty compensation for which authorization must be renewed each year. If lawmakers has substituted their own pay raise or tried to supersede the presidential order in the bill, Obama's veto would have affected that, too. These are few of the comments. Congress currently breaks up the US budget into twelve large bills. American is now 19 trillion dollars in debt and with a debt ceiling of $18.1 trillion and increasing. Outgoing Speaker of the House John Boehner revealed on October 23, 2015 that “the US Treasury Department has said that in order for it to continue paying bills on time, Congress must act by November 3, 2015 to increase the federal government’s current $18.1 trillion borrowing limit. Republicans have said that they will raise the debt limit only if other measures are passed to reduce federal spending. There has never been a majority in the House of Representative willing to shut down the government. President Obama fought with the Congress over funding for implementation of his unilateral amnesty for millions of illegal immigrants, funding for DHS, and of course, the Affordable Care Act (which is no longer affordable for Americans). The “food fights” over the Defense Budget Bill is yet another example of how the members of government view the US Military and the American taxpayers. Perhaps, the answer is an “automatic CR or continuous resolutions, as suggested by Jim DeMint, President of the Heritage Foundation suggested in 2014. Certainly, the process of running the Federal government could be less confrontational. Does the U.S. Treasury have to borrow from Communist China and then invest heavily in new hardware conventional technologies that may not outpace other countries military technologies? Russia has shown that it has mastered C5ISR in Syria. Do the U.S. covert agencies need to create pivot wars for democracy? The American electorate yearns for a foreign policy that will give a vision and clear path ahead. So far, the two political parties in the U.S. have not risen to the challenge.